NOW COLLECTED INTO ONE VOLUME FOR THE FIRST TIME, ALL FIVE INSTALLMENTS OF EDWARD ST. AUBYN'S CELEBRATED PATRICK MELROSE NOVELS Edward St. Aubyn has penned one of the most acclaimed series of the decade with the Patrick Melrose Novels. Now you can read all five novels in one volume: "Never Mind, Bad News, Mother's Milk, Some Hope, and At Last." By turns harrowing and hilarious, this ambitious novel cycle dissects the English upper class. Edward St. Aubyn offers his reader the often darkly funny and self-loathing world of privilege as we follow Patrick Melrose's story of abuse, addiction, and recovery from the age of five into early middle age. 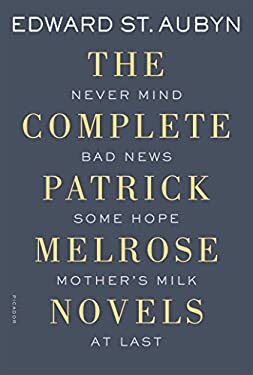 The Patrick Melrose Novels are "a memorable tour de force" ("The New York Times Book Review") by one of "the most brilliant English novelists of his generation" (Alan Hollinghurst). New (77 available) BRAND NEW. Over 1.5 million happy customers. 100% money-back guarantee. Make your purchase count: support Better World Books' worldwide literacy partners.